How to watch Danny Collins (2015) on Netflix Australia! Sorry, Danny Collins is not available on Australian Netflix, but you can unlock it right now in Australia and start watching! With a few simple steps you can change your Netflix region to a country like Panama and start watching Panamanian Netflix, which includes Danny Collins. We'll keep checking Netflix Australia for Danny Collins, and this page will be updated with any changes. 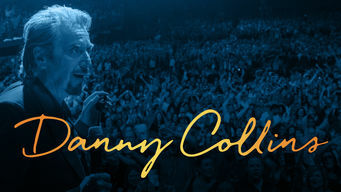 Danny Collins is not available in Australia BUT it can be unlocked and viewed! A hard-living rocker at the end of his career revisits his artistic roots after finding a 40-year-old letter from John Lennon. A life-changing letter went unopened -- until now. Is it too late to turn back time and rewrite everything? There is a way to watch Danny Collins in Australia, even though it isn't currently available on Netflix locally. What you need is a system that lets you change your Netflix country. With a few simple steps you can be watching Danny Collins and thousands of other titles!